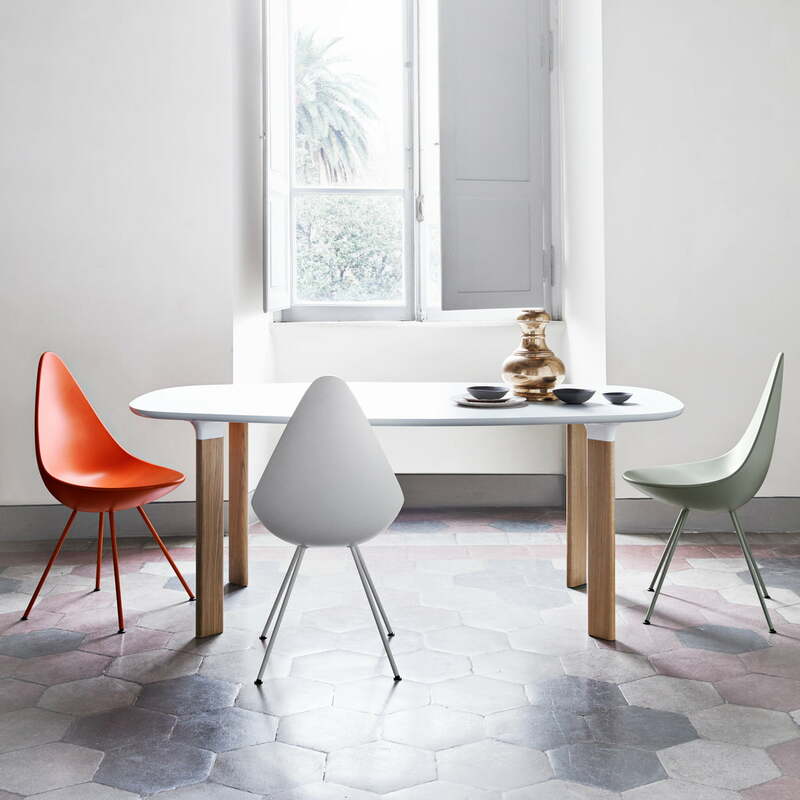 It took Frits Hansen more than 50 years to re-produce the Drop chair designed by the legendary Arne Jacobsen. The classic piece came back now and it acts more current than ever. 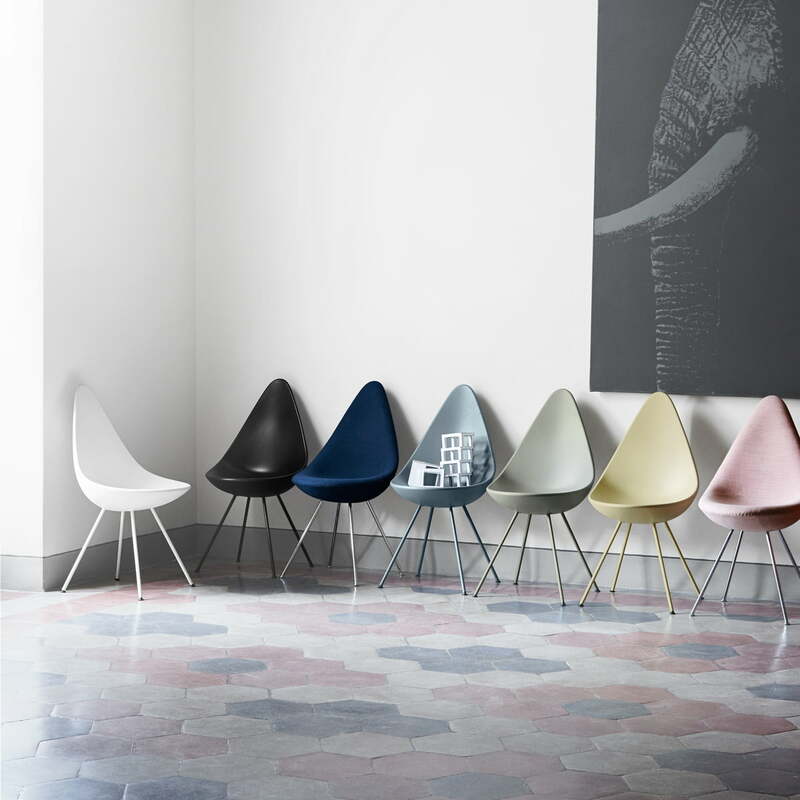 Drop has already been produced for the big masterwork of Jacobsen in 1958, the Royal SAS Hotel in Copenhagen, for which the Danish designer also created the iconic armchair Egg and Swan. 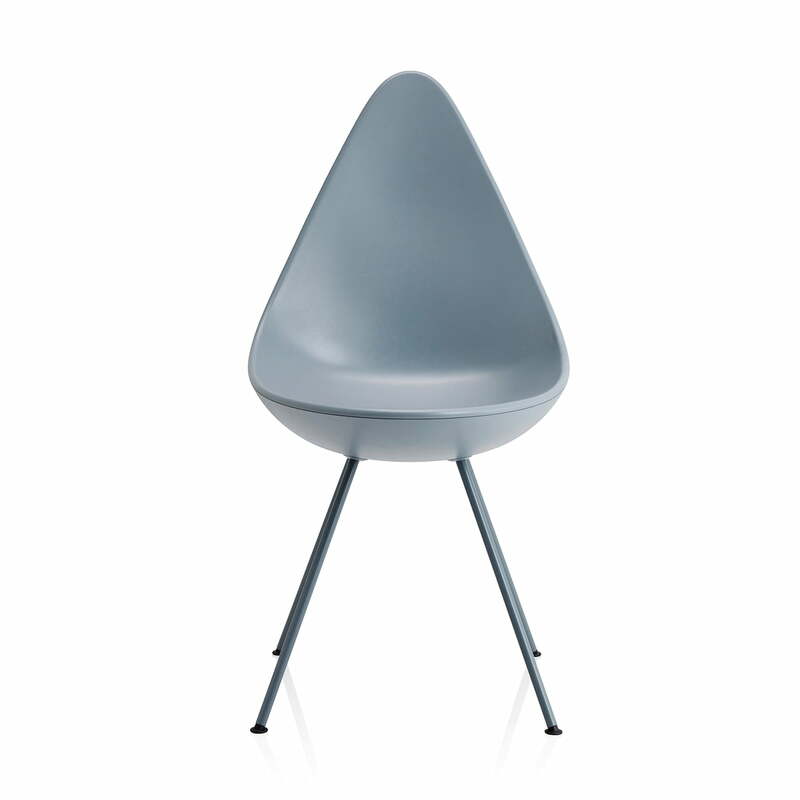 The Fritz Hansen Drop is a sensitive chair with big character. The chair is fresh and vivid as if it had a new design; bit still it keeps a very special history. 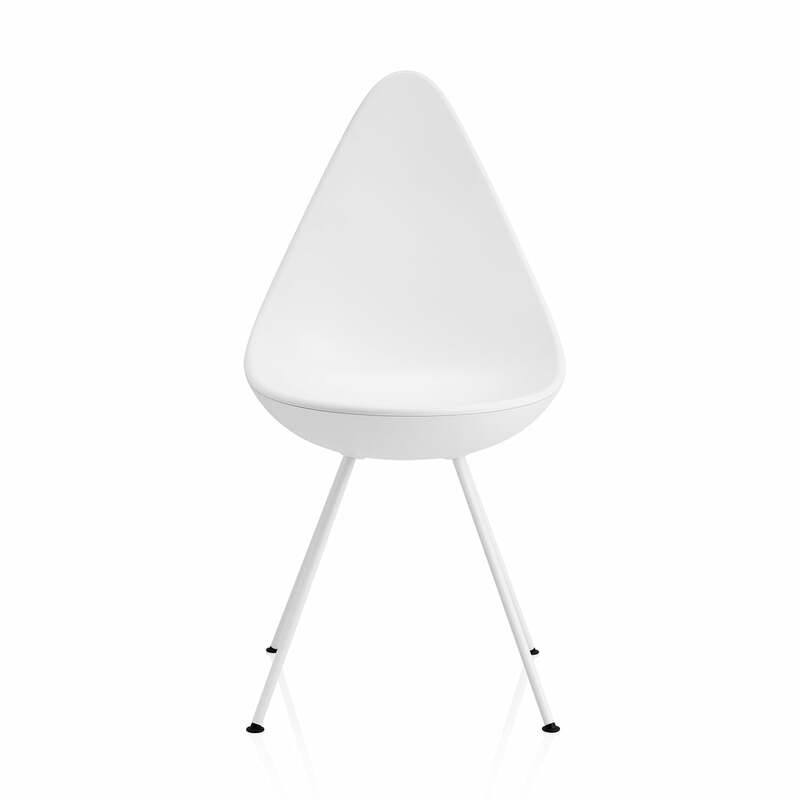 This makes its unmistakable personality possible, which is bigger than its simplicity might reveal on the first sight. The love for details and the unique design make up a brave and unusual statement, which makes Drop as current as when it first appeared. 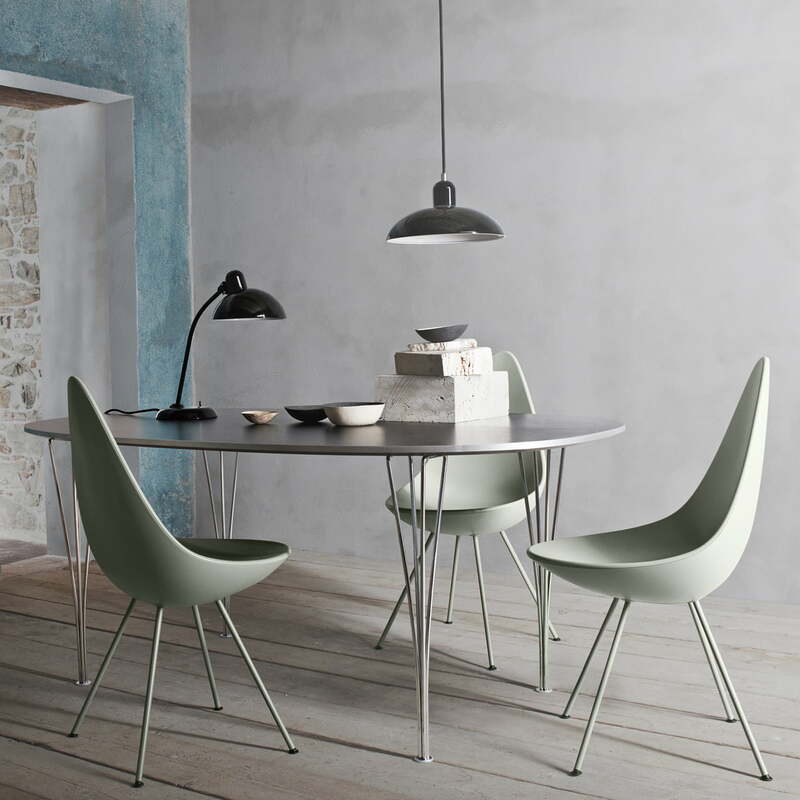 The backrest of the Fritz Hansen Drop unifies the feelings of a warm embrace with a lot of mobility, leading to surprising comfort. The chair elegantly fits in numerous furnishings and it is therefore an exceptional example for furniture design, which influences and upgrades the room it is in by simply being there and being beautiful. 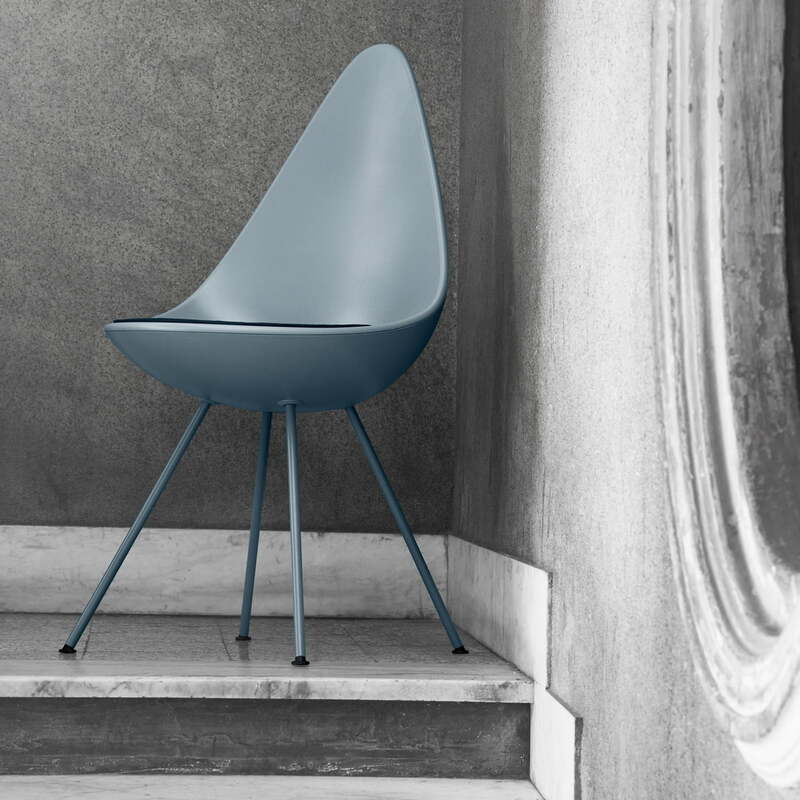 The Frits Hansen Drop chair is available in further colours, with chrome-plated legs as well as coated with fabric, leather or with cushions. We will gladly advise you for individual configurations.